How is the Mammoth Lakes real estate market doing in comparison to its 2006 peak of the market prices? The short answer is: Still a way to go to catch up to those property values. Some background on what spurred the price increase in property values during Mammoth’s 2006 peak of the market prices. Back in the early 90s, you could buy a 1 & loft, 1-bath condo for around $70,000 (in town). During the period between 1996 and 2000, real estate property values roughly doubled in price. Up until Intrawest came to town in the late 1990s with big plans, Mammoth looked much different. There was no “Village at Mammoth”, Village gondola, we still had “Warming Hut 2” and the chairs were all numbered and in much need of some upgrades. Intrawest completed construction on the first condo development, Juniper Springs Lodge, in 1999. This was the official start on their development plans in Mammoth that would drastically raise property values in the years to follow. The additional developments that followed Juniper Springs Lodge were: Sunstone in 2000, Mammoth Green & Eagle Run in 2002, Juniper Crest I & II in 2004/2005, Cabins at Crooked Pines in 2005 and Solstice in 2006. While the new Eagle Lodge condo developments were being completed, the Village at Mammoth broke ground in 2000 with the first of the buildings (White Mountain Lodge) completed in 2001, Lincoln House in 2003 and Grand Sierra Lodge in 2004. When Starwood Capital Group LLC announced the purchase of Mammoth Mountain in 2005, prices skyrocketed to historic levels. Using a fairly well-known condo complex like Horizons 4 as an example, the most recent 1 & loft, 1-bath sale closed for $279,000 and the same floor plan sold at this complex for $460,000 in 2006 (peak). That’s approximately 39% under peak of the market prices for this specific complex compared with today’s prices (October 2017). The same floor plan at Seasons IV condos (also a very well-known complex built in 1971) closed for $459,000 in late 2005 and the most recent sale closed for $239,900. That’s still 48% under Mammoth’s historical peak of the market pricing in the 2005-2006 timeframe. Let’s take a look at the condo developments located in the Canyon Lodge area. A Silverbear 3-bedroom, 3-bath closed in mid-2005 for $800,000. The same exact unit resold in January of this year for $540,000. That’s 33% under the peak of the market pricing. An 1849 2-bedroom, 2-bath closed in late 2005 for $635,000, and the most recent sale closed for $397,000 in February of 2015 (37% under peak of market). 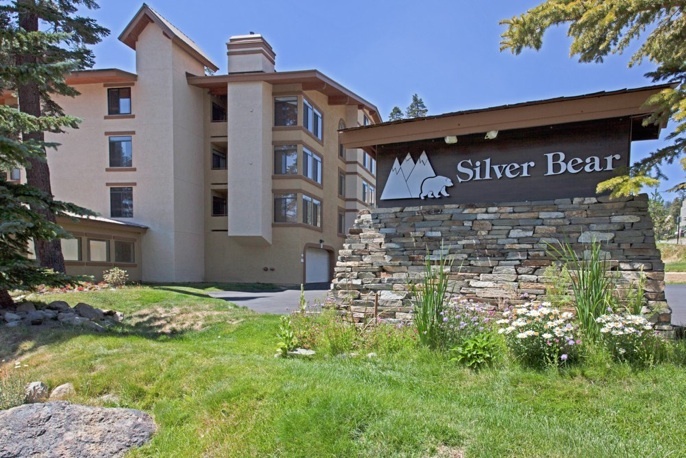 A 3-bedroom Sierra Megeve closed for $775,000 in April 2005 and the most recent sale closed in April of this year for $525,000 (32% under the peak of the market pricing). For some of the Intrawest developments in the Eagle Lodge project area: A Juniper Springs Lodge 2-bedroom, 2-bath sold in May 2006 for $719,000 and the most recent sale closed for $385,000 in September of this year (46% under peak of the market). A Sunstone 2-bedroom, 2-bath sold for $710,000 March 2006 and the most recent closed sale was for $425,000 in April 2017 (40% under the peak of market). An Eagle Run 2-bedroom, 2-bath closed in February 2006 for $895,000 and the same floor plan closed for $554,500 in August 2017 (38% under peak of market). A Juniper Crest II 3-bedroom, 3-bath with 1,554 SF sold for $1,285,000 in December 2005 and the most recent sale for the exact same floor plan closed for $860,000 in July of 2017 (39% under peak of market). A 2-bedroom, 2-bath Mammoth Green sold for $685,000 January of 2006 and the most recent closed sale was for $431,500 in July 2017 (37% under peak of market pricing). The Village at Mammoth 2-bedroom, 2-bath units: White Mountain Lodge sold for $820,000 in March 2006 and most recent closed sale was for $439,500 in June 2017 (46% under peak of market). Lincoln House sold for $875,000 in September 2006 and most recent closed sale was $510,000 in August 2017 (42% under peak of market prices). A Grand Sierra Lodge sold for $875,000 in September 2006 and the most recent sale was for $520,000 in July 2017 (41% under peak of market prices). Meadow and Snowcreek: A Sunrise 1 & loft, 2-bath built in 1981 sold for $585,000 in October 2005 (because of the views) and the same unit resold for $340,500 in November 2015 (42% below peak of market). The most recent sale was for $312,500 in January 2017 (no upgrades or views). A Snowflower 2 & loft, 3-bath sold for $675,000 in November 2006 (highest sale at complex) and the most recent sale closed for $505,000 in August 2017 (25% under peak of market prices). This complex seems to have recovered very well and inching towards peak of the market prices. A Snowcreek II 2 & loft, 2-bath sold for $680,000 in September of 2006 and the most recent sale closed for $459,900 in Septmeber of 2017 (32% under peak of market prices). A Snowcreek IV 2-bedroom, 2-bath closed for $615,000 in May 2006 and the most recent sale closed for $330,000 in December 2015 (46% under peak of market). A Snowcreek V 3-bedroom, 3-bath closed for $865,000 in January 2006 and the most recent sale closed for $690,000 in August 2017 (20% under peak of the market prices). So far, this is the closest to peak of the market pricing. Snowcreek condos have always been very desirable. What makes this particular floor plan worth more to a buyer is the price point vs. newer developments built by Intrawest for the same amount of space and an extra bath – 3 bedrooms, 3 baths and a private 1-car garage. This development is located in the “Meadow” and Snowcreek golf course area, which offers more of a “wide open” setting with views. In summary, prices began to noticeably increase in the late 1990s when Intrawest purchased the Mountain and began developing the area. Not only did they build a nice Village, which is considered the center of town (dining, night life and shopping), but they built several condo complexes, a golf course (Sierra Star) and did quite a bit of on-mountain upgrades. However, the most substantial and historical increase in property values took place when Starwood Capital Group LLC announced their purchase of Mammoth Mountain in 2005. The short-lived surge in property values that occurred between 2004-2006 was followed by the financial collapse. Not only did the foreclosure wave hit, but tightened lending restrictions imposed by Fannie & Freddie prevented lending on any “resort” condos with an onsite rental office (such as Westin, Village at Mammoth units, Juniper Springs Lodge, etc.). This required buyers to come in with cash, which further impacted property values in Mammoth. Lending restrictions have since loosened to allow for loans on many of the condo developments that were strictly cash for several years (now down to only 8 complexes that require cash to purchase). During the years of the financial crisis, any development plans by Starwood were put on hold, and subsequently never took place while they owned Mammoth Mountain. This might have further impacted property values in a negative way. Overall, we are still down between 20% and the mid-30% range (on average) from our peak of the market prices. Mammoth Mountain Resorts was recently purchased by KSL & Aspen Skiing Company in the spring of this year. The real estate market saw the most activity and price appreciation following this announcement that we’ve seen in many years during such a short period of time. 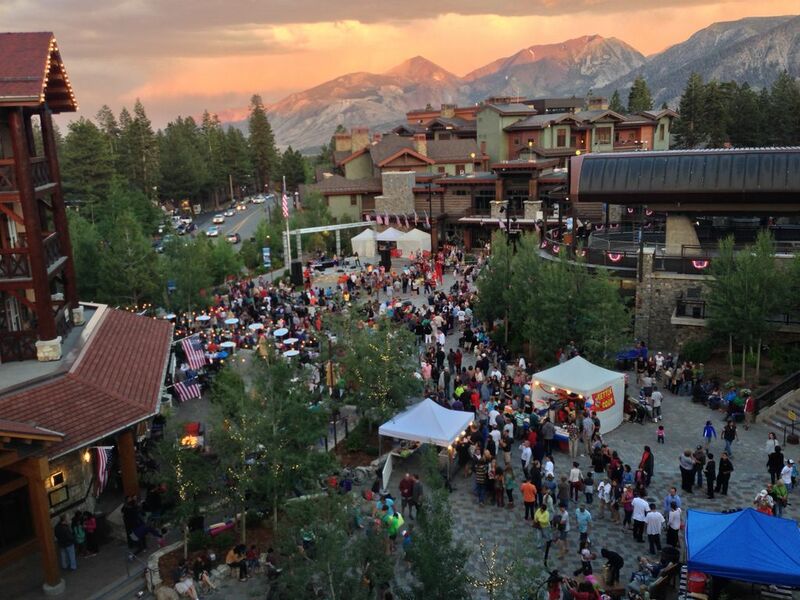 Although enthusiasm and excitement to buy condos in Mammoth was obvious this year, overall, prices are not skyrocketing, but gaining a healthy upward trend towards increasing appreciation in property values. As history shows, new ownership followed by development breaking ground causes prices to increase. As of now, we have new ownership by a sophisticated ski resort operator with high-end resorts like Deer Valley and Snowmass in their portfolio, but the development hasn’t started yet. This is still a great time to buy property in Mammoth before development breaks ground and prices continue to rise. For a list of available properties on the market – condos or homes, or to schedule a showing appointment, please feel free to contact me directly.